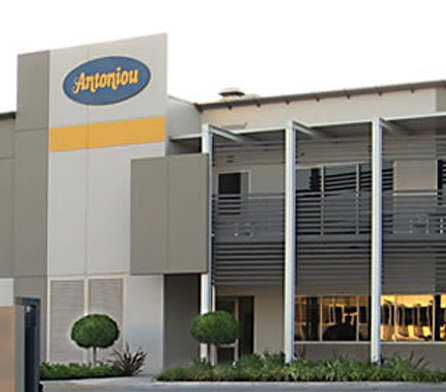 C & M Antoniou is a privately owned Australian company established in 1960 and has grown to be Australia’s leading manufacturer of fillo pastry and fillo pastry products. C & M Antoniou manufactures for the Australian market and exports to New Zealand, South East Asia, Middle East and the UK. At the existing site, fillo pastry was manufactured in one factory while value added products were manufactured at a separate site. Narrow streets, adjoining residential use and expanding production orders meant that these sites could no longer meet the growing needs of the business. A new site at Moorebank, Sydney was chosen and Wiley was contracted to design and build a new facility that would consolidate and maximise the business currently separate operations. Design to provide best practice in bulk flour unloading and transfer considering combustibility, friction build-up and airborne flour. Flexibility for adjoining tenancy area to become future production space. Difficult design features that meant a deemed to satisfy solution to BCA was required. Coordination of services with clear scope of work for seamless transition. Incorporation of various construction methods (pre-cast, in-situ and post tensioned concrete, PIR panels) to provide fire ratings, impact resistance, hygiene, speed of construction and overcome shortage of formwork subcontractors. The result is an efficient and modern fillo pastry manufacturing facility, providing a highly cost effective solution for maximum use of the Moorebank site. 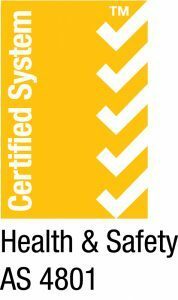 The facility also makes provision for the growth and success of C & M Antoniou well into the future.